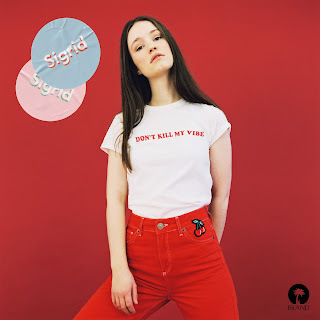 Sigrid Solbakk is a Norwegian emerging singer-songwriter based in Ålesund who has delivered her proper major debut single and it’s an instant certified bop! “Don’t Kill My Vibe” was launched on digital retailers and streaming services on February 10th. A special acoustic version of the single was released on March 3rd. The official music video, which was directed by J.A.C.K., was finally premiered through Vevo on Friday, March 31st.